Home › Blog Topics › Friday Find – What are you doing today? Friday Find – What are you doing today? If you are not going to ALA Midwinter and have some time on your hands today, there is an awesome opportunity to take part in an education live streaming event from California. The topics are hot news and you can participate in a live chat too. All of the details are below. 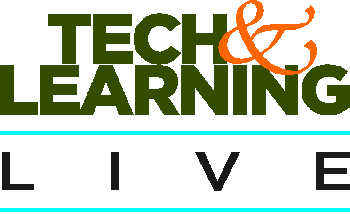 Join the Tech & Learning Livestream Experience! 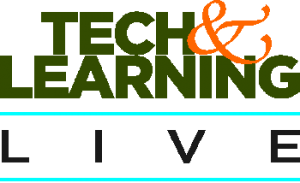 Tune in tomorrow – Friday, January 30 to Tech & Learning Live Online, Tech & Learning‘s live broadcast stream direct from Tech & Learning Live @ Long Beach. Join this preeminent group of education leaders as they tackle some of the most pressing, and promising, issues for today’s schools. Watch the sessions as they happen and even participate with a live chat. For the past 10 years, Howard Rheingold has taught courses at UC Berkeley and Stanford in which his students use social media – including blogs, wikis, forums, social bookmarking, and mind mapping – to study social media. At the same time, Rheingold’s pedagogy has shifted to “co-learning” in which students take more responsibility for their own and each other’s learning and, in dialogue together, instructor and co-learners design and redesign the pedagogy on the fly. Rheingold will talk about this pedagogy and how each of the media affords a different aspect. Who says kindergarteners and first or second graders are too young to learn, collaborate and create using high-tech tools?This session, moderated by Jen Wagner and featuring five primary grade super-teachers, will showcase some great student work and offer guidance for those interested in empowering and inspiring young learners with help from technology. What does “digital citizenship” mean to a student? A superintendent? A teacher? Ask this question to different members of your school community and you will most likely get very different answers. This workshop will dissect specific scenarios, from appropriate use of social media to cyberbullying to plagiarism, and offer takeaways you can bring back to your district and put into action. To view the day’s program, click here. To learn more about our speakers, click here.